The world's top bodyguard gets a new client, a hit man who must testify at the International Court of Justice. 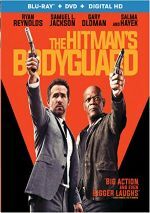 2017’s The Hitman’s Bodyguard acts as an update on the “buddy” action flick. It introduces us to Michael Bryce (Ryan Reynolds), an elite protection agent with an impeccable record – until someone assassinates a client. This sends Bryce into a downward spiral and leaves him with a dodgy clientele. Desperate to reclaim his reputation, Bryce accepts a job to transport notorious hitman Darius Kincaid (Samuel L. Jackson) from England to Holland, where he will testify against vicious Eastern European dictator Vladislav Dukhovich (Gary Oldman). Inevitable violent obstacles appear along the way. With a Rotten Tomatoes score of 39 percent, Bodyguard received largely bad reviews, and I don’t think it merits that level of derision. At its very worst, the movie manages reasonable action entertainment. That said, I can understand the negativity. As I’ve mentioned in the past, I think critics tend to overrate movies that give them something different – those folks see so many formulaic flicks that they embrace something outside of the norm, even when that effort lacks many other positive qualities. Logically, this implies critics then come down more harshly on movies without a shred of originality, and I think that inspired the bad reviews for Bodyguard. While I feel like it keeps us with it for its 118 minutes, I can’t claim it boasts a creative bone in its body. Except for technology and some filmmaking trends it follows, Bodyguard easily could’ve been made 20 years ago. Indeed, the movie enjoys the kind of casually cynical and quippy tone more dominant in the 1990s, and it rarely shows any signs that it realizes cinema has changed in anyway since that period. As a result, Bodyguard feels shopworn and cliché much of the time. It feels like a movie that could’ve been created years ago, and I don’t mean that in a complimentary way. The staleness trickles down to the actors. Samuel L. Jackson plays the Samuel L. Jackson character. 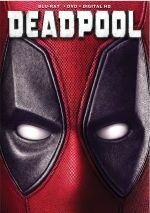 Ryan Reynolds plays the Ryan Reynolds character. Gary Oldman recycles his accent from Air Force One. And so on. All of the actors invest their roles with enough verve to make them enjoyable, and I like the sight of Salma Hayek as she tears through an underwritten role as Kincaid’s lover, but I can’t claim most of the performers break a sweat. They just do what they’ve done many times in the past and coast along the way. All of these negatives aside, Bodyguard still remains a serviceable action flick at worst. It gives us some lively battles and violent scenes with enough panache to maintain our interest. I just wish the film did more than that. Bodyguard winds up as an acceptable way to pass a couple of hours but it never strives to be anything better. It’s lazy entertainment. 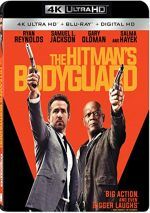 The Hitman’s Bodyguard appears in an aspect ratio of approximately 2.40:1 on this 4K UHD Disc. This became a good but occasionally inconsistent presentation. In particular, some interiors seemed oddly soft. I suspect this stemmed from the original photography, but I couldn’t discern a logical reason for the lack of definition, as these occasional shots appeared slightly fuzzy for no clear purpose. Still, most of the movie offered excellent delineation, and I saw no signs of jaggies or moiré effects. The film also lacked edge haloes or print flaws. If you suspected Bodyguard would come with the modern standard teal and orange palette, you’ll get what you expected. Given their ambitions, the hues looked fine here. Blacks came across nicely. Dark tones were deep and rich, without any muddiness or problems. In addition, low-light shots gave us smooth, clear visuals – other than the occasional soft shots of course. Outside of those sporadic iffy interiors, this became a good presentation. I felt very happy with the solid Dolby Atmos soundtrack of Bodyguard. Downconverted to Dolby TrueHD 7.1, the mix offered plenty of opportunities for lively auditory information, and it took good advantage of these. From the road chases to gunfire to explosions to other action elements, the mix filled the speakers on a frequent basis. The track placed information in logical spots and blended all the channels in a smooth, compelling manner. Speech was always distinctive and concise, too. This mix worked well for the film and added a lot to the action. How did the 4K UHD compare to the Blu-ray version? Audio remained identical, as both discs sported the same Atmos track. Visuals showed improvements, though. The 4K offered stronger delineation and suffered less from those odd interior soft shots. It also boasted superior colors and contrast. The 4K became a step up in picture quality from the Blu-ray. As we head to extras, we begin with an audio commentary from director Patrick Hughes. He brings us a running, screen-specific look at story/characters, cast and performances, sets and locations, music, stunts and action, editing and related areas. Hughes provides an enthusiastic but erratic track. On the positive side, he presents a pretty good array of notes, but he also tends toward more praise than I’d like – and he’s far too enamored of his Samuel L. Jackson impression, which he throws out us too often. Still, even with the spotty bits, Hughes gives us enough substance to make the commentary worth a listen. Under Outtakes, we find five minutes, 23 seconds of footage. This mostly delivers a standard blooper reel, but a few improv lines add a smidgen of value. Plenty of cut footage appears next. We get four Deleted Scenes (5:01), four Extended Scenes (3:21) and two Alternate Scenes (3:24). The extended clips tend to give us minor additions without much of substance, while the alternate segments also lean toward slight variations on the existing sequences. They’re not especially interesting. As for the deleted scenes, they largely focus on the Dukhovich character and contribute a little to his exposition. I can’t claim these excel, but they offer a bit of added information. Four featurettes follow. A Love Story runs eight minutes, 56 seconds and provides comments from Hughes, writer Tom O’Connor, producer Les Weldon, and actors Ryan Reynolds, Samuel L. Jackson, Gary Oldman, Elodie Yung, and Salma Hayek. The program looks at story, the main characters, and the lead actors. This mainly acts as a big wet kiss for Jackson and Reynolds, so don’t expect much substance. During the four-minute, 23-second Hitman vs. Bodyguard, we get a movie montage. It features scenes with Kincaid and Bryce that connect to various themes. What point does this serve? A promotional one, I guess – it’s a snore for anyone who’s actually watched the movie. Dangerous Women lasts eight minutes, 22 seconds and features Weldon, Hayek, Jackson, Yung, O’Connor, Reynolds, and Hughes. “Women” looks at the movie’s two main female characters and becomes another puff piece. Finally, Big Action in a Big World fills seven minutes, 53 seconds with notes from Reynolds, Jackson, Hughes, Hayek, Yung, O’Connor, Oldman, Weldon, and stunt coordinator Greg Powell. “World” views stunts/action, locations, and Hughes’ impact on the production. Though better than the other featurettes, this one remains lackluster. The disc opens with ads for John Wick: Chapter 2, American Assassin, Valerian and the City of a Thousand Planets, American Ultra and Criminal. No trailer for Bodyguard appears here. If you want to wile away a couple of hours, you could do worse than The Hitman’s Bodyguard - but you could also do better. Professional but utterly uninspired, the movie lacks any form of originality. The 4K UHD offers excellent audio along with mostly very good picture and a decent array of supplements. Parts of the movie entertain but it remains forgettable.